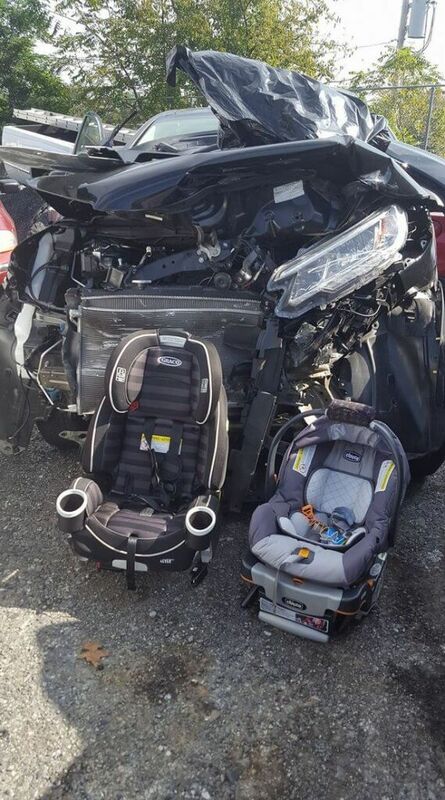 A mother has shared a photo of a horrifying car accident in the hope that it will remind parents of the importance of car seats. 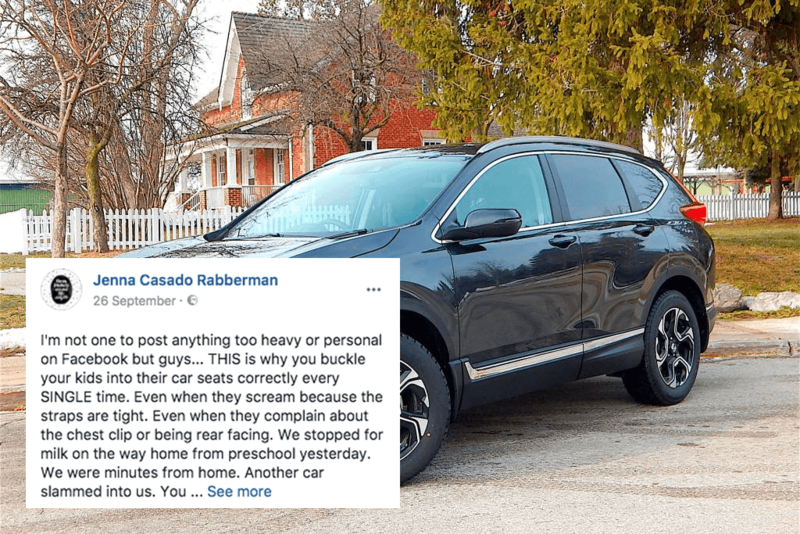 On the way home from pre-school, Jenna Casado Rabberman, from Pennsylvania, stopped for milk with her two young sons – Beckett, two, and Brooks, six weeks – strapped into the back of the car. 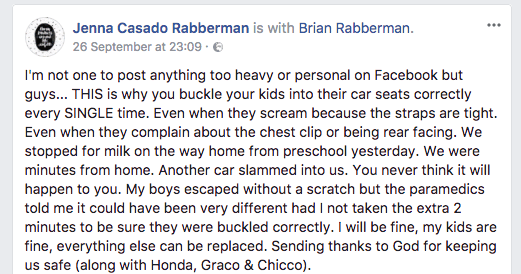 The image has since been shared an impressive 260,000 times as concerned parents join Rabberman in her quest to reinforce the importance of proper car seat installation and use. Children in the UK are required by law to use a car seat until they are 12-years-old or 135 centimetres tall, whichever comes first.